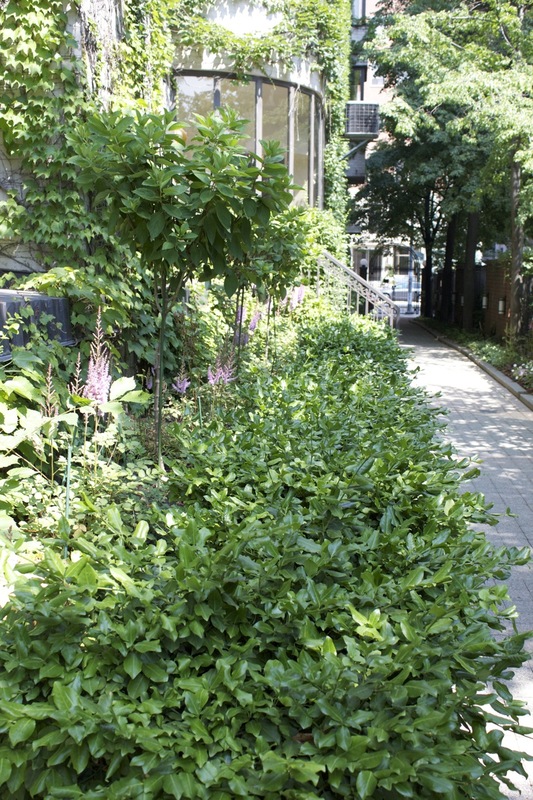 This commercial property was redesigned and refreshed by Landcare. 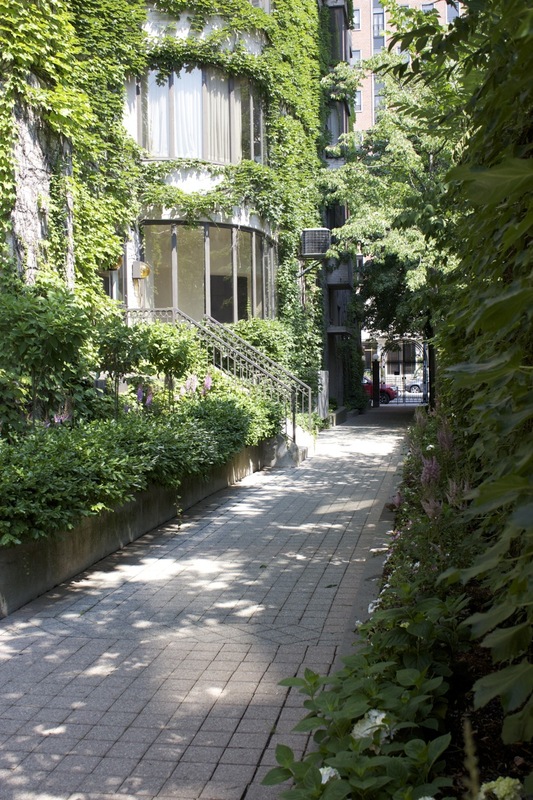 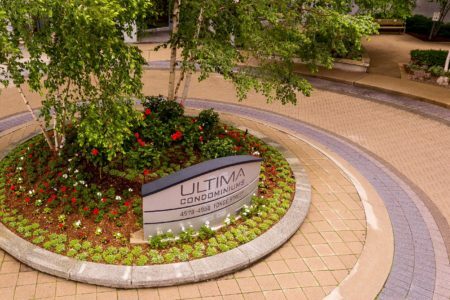 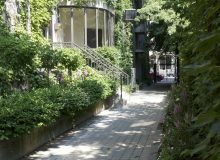 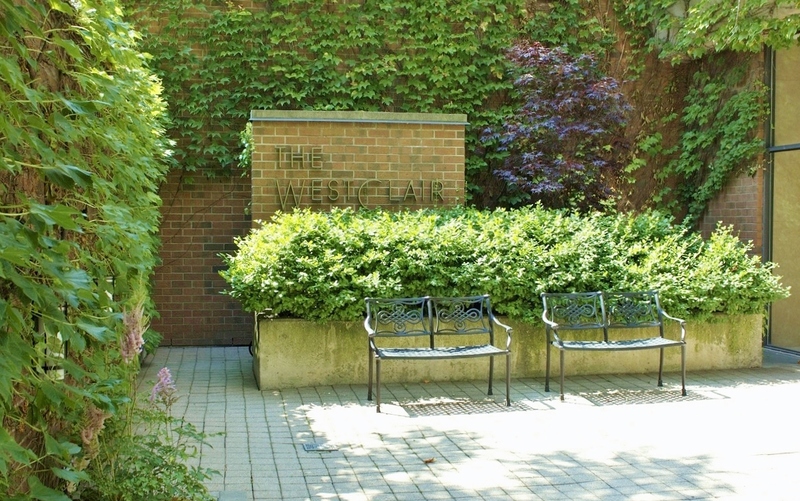 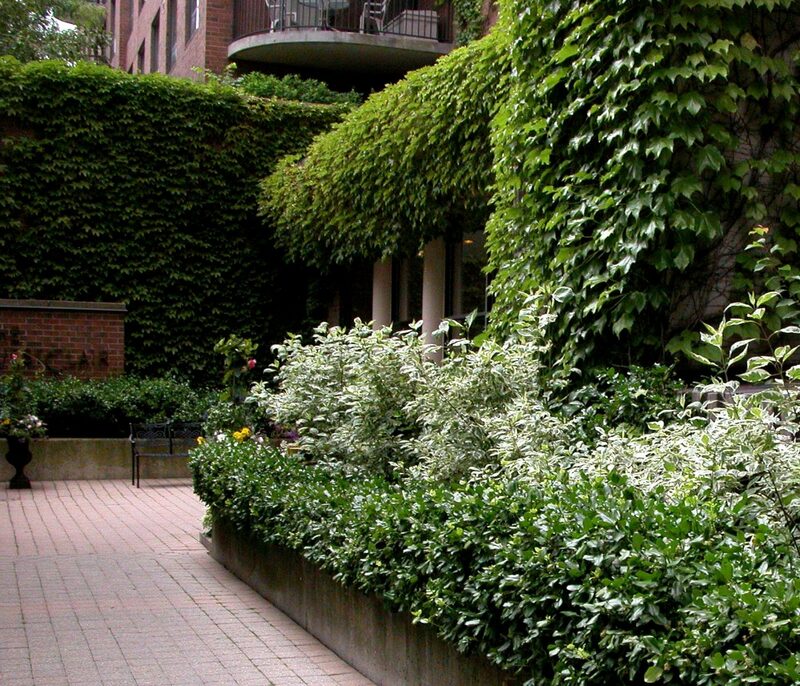 The terrace area boasts lush gardens and interlocking brick walkways. 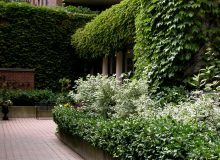 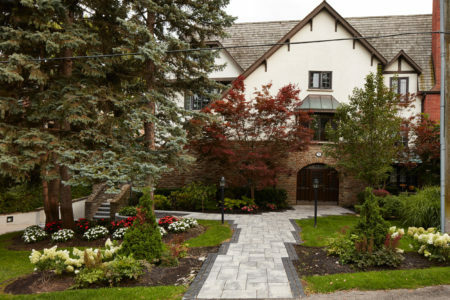 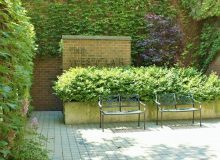 The walls are softened by ivy and raised beds and planters with mass plantings enclosed in boxwood edging. 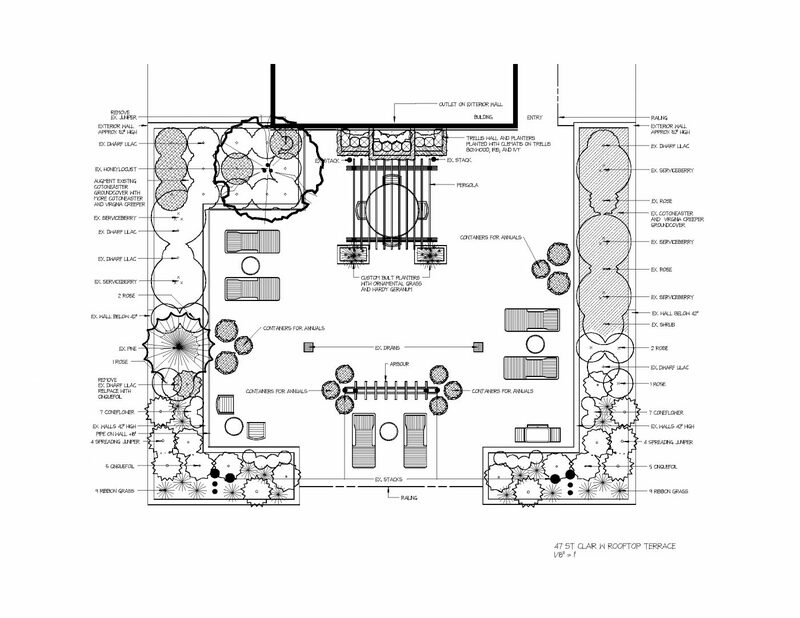 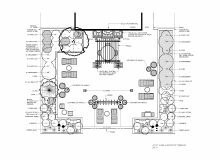 Garden design show a balance plan with the structure of hardscapingan abundance of plant materials, urns and seating area. 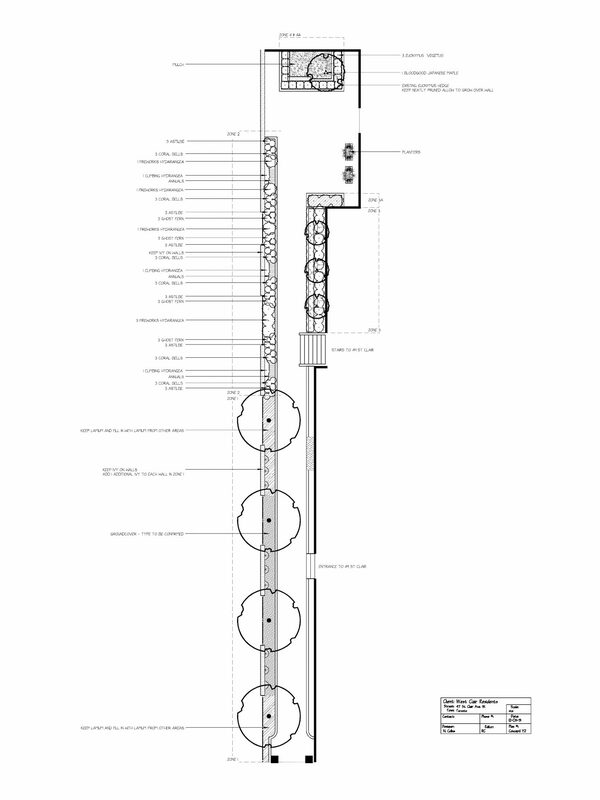 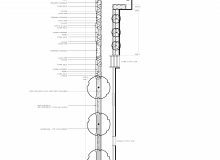 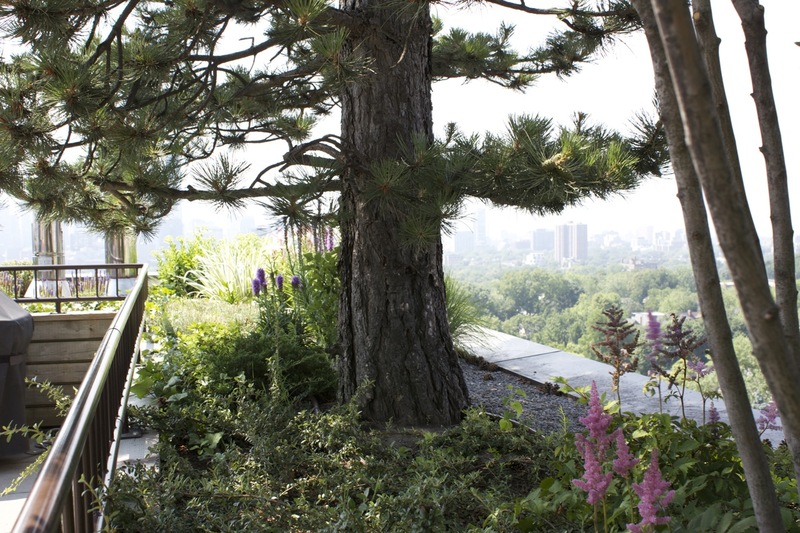 The design gives a secret garden entrance to a residence that includes a fabulous rooftop design to envy. 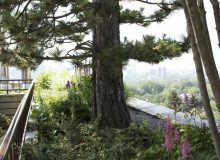 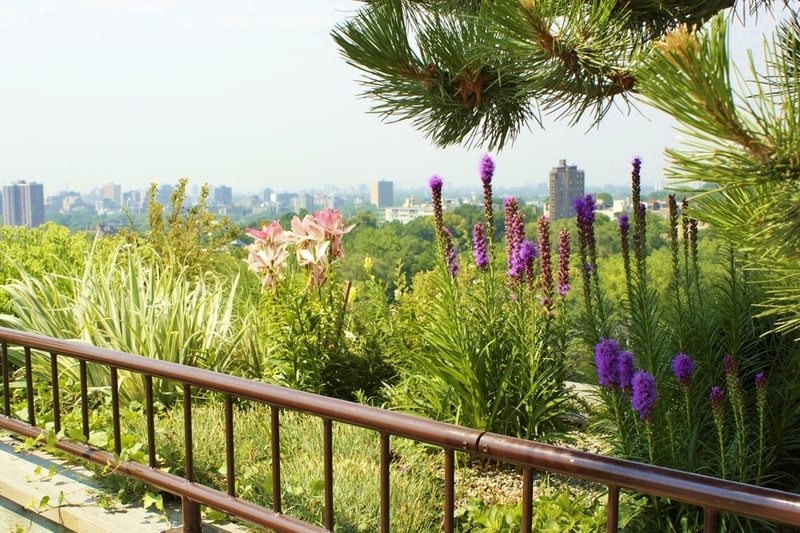 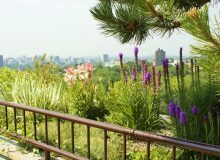 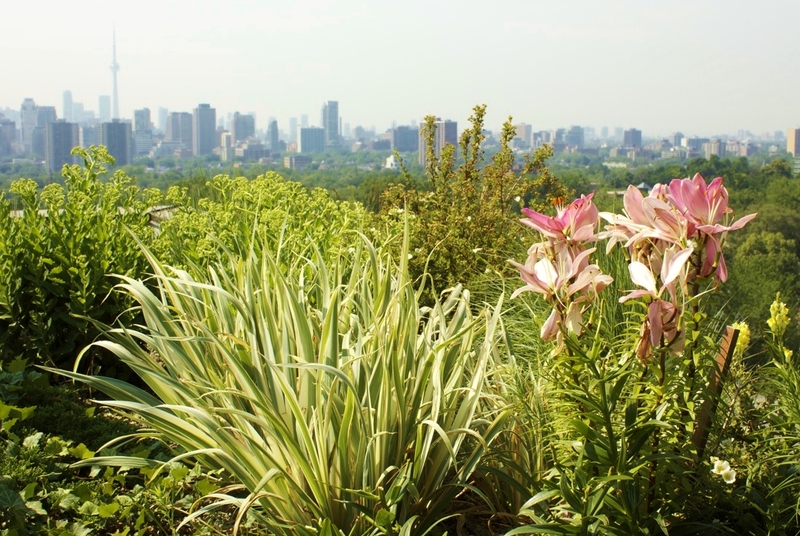 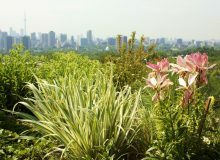 Overlooking a spectacular view of Toronto’s skyline, this property has full sun gardens in the sky. 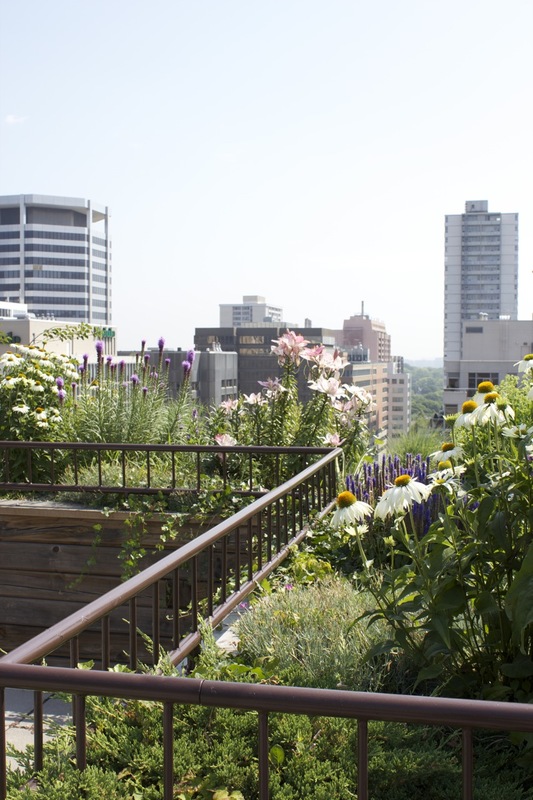 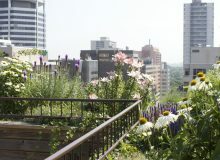 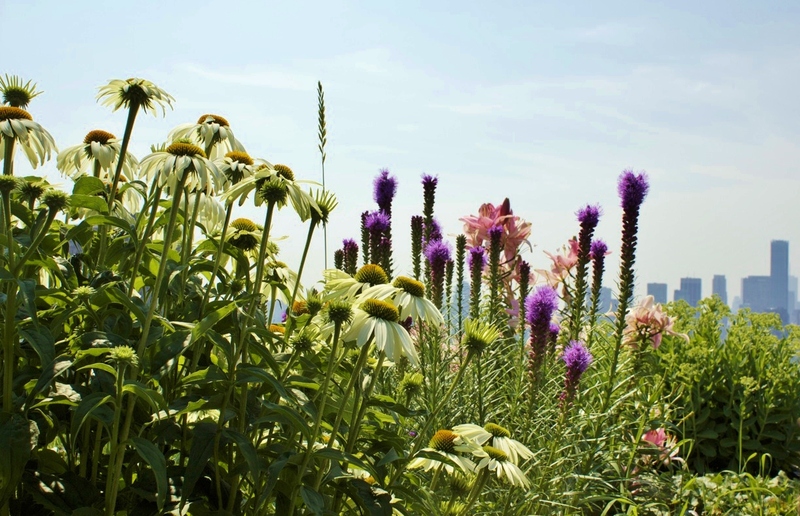 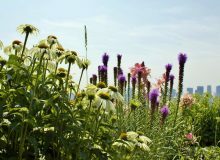 Daisies, purple cone flower, paintbrush are some of the heat happy perrenial plants that the resident’s get to enjoy on their rooftop perch. 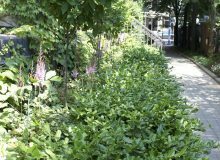 Landcare’s commercial property maintenance crews keep these unique gardens looking their best year after year.